Pope Francis has been criticised for his “failure” to address the damage done to LGBT+ youth by the Catholic Church. LGBT+ humanitarian campaign group Equal Future hit out at the pope after the Vatican released a new teaching document for young people, titled Christus vivit, on Tuesday (April 2). The pope released the nine-chapter publication in response to an event held by Catholic bishops, called the “Synod on Young People,” in October. 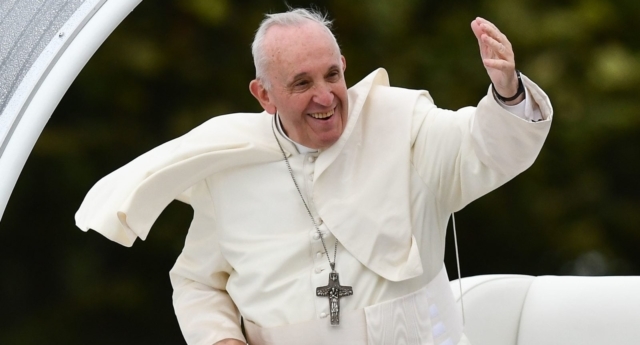 In a statement, Tiernan Brady, campaign director for Equal Future, said: “Given the highly problematic nature of the Catholic Church’s teaching on LGBT…the document represents a failure of nerve to follow through on previous positive statements by Pope Francis. Brady noted that the the publication contained some “positive elements,” including calling for an “inclusive” approach towards the development of its youth ministry. Still, Brady added: “But these are only potential pathways to progress and the document is ultimately a missed opportunity. Following the synod in October, the Catholic Church was criticised for dropping the “LGBT” acronym from an official document discussing recommendations on how to welcome young people into the church. The Synod on Youth—a global summit for Catholic bishops—took place over the month of October, with a final 60-page document approved by the end of the month. The working draft of the document had included the LGBT acronym, making it the first time it had been used by the Vatican in an official capacity.